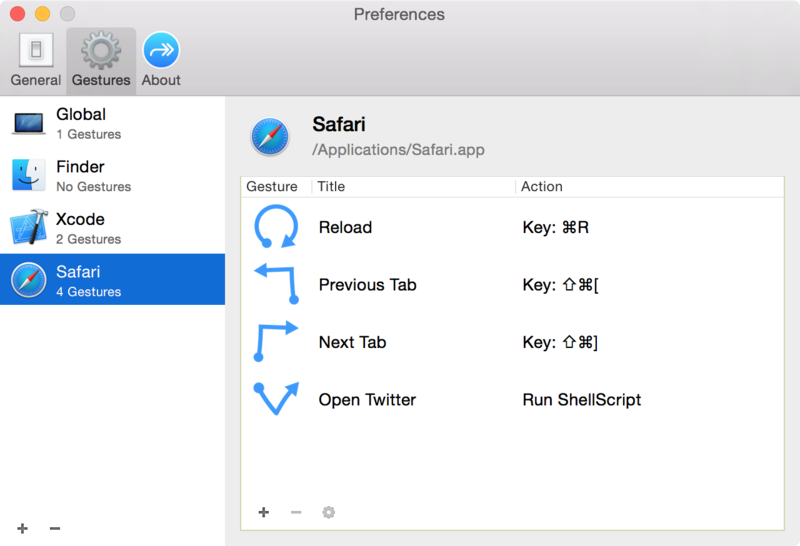 Riverflow allows you to assign a two-finger gesture to an arbitrary action. For example, a circle gesture can be assigned to send ⌘R key event. Then you can reload the web page by drawing a circle on the trackpad. And in this example, you can easily imagine "Reload" from the circle shape. Riverflow provides such meaningful and memorable gestures. The gestures can be assigned to the different actions for each application. Riverflow requires Mac OS X 10.10 or later.